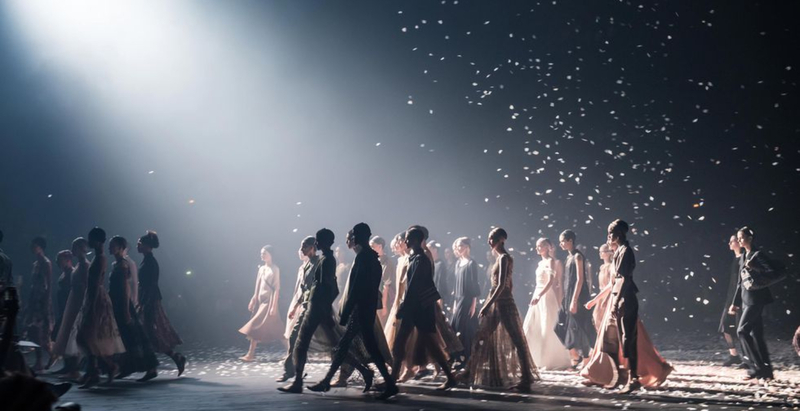 Dior achieved $3.7 million (£2.8m) in earned media value through Instagram mentions and engagement during the spring/summer 2019 fashion shows, making it the most successful of all the brands who presented collections, as reported by WWD. Shown in Paris, Dior, designed by Maria Grazia Chiuri, attracted over seven million likes and 1,260 mentions by influencers with more than 15,000 followers. It received the most engagement from Italy (15%), the US (11%) and Brazil (10.8%). The figures were taken directly from Instagram and analysed by InfluencerDB, a marketing software company that tracks the best-performing brands and influencer marketing campaigns on the social media platform. Overall earned media value was based on tagged posts communicated by influencers, celebrities and notable personalities. An analysis of the individual fashion weeks was also undertaken and showed that, in London, Riccardo Tisci earned the most media value at $1.2 million, with one million likes and 375 mentions for his first collection as chief creative officer for Burberry. In Milan, Jeremy Scott for Moschino came out on top through his Instagram @itsjeremyscott. The account received $1.7 million in earned media value and had 1.6 million likes, along with 254 mentions by influencers with more than 15,000 followers. 36.7% of his engagement came from the US. In New York, Brandon Maxwell had 1.6 million likes and 285 mentions by influencers with more than 15,000 followers, amounting to $1.3 million in earned media value. 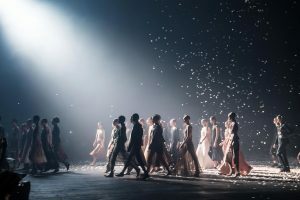 Other notable mentions include Versace, recently acquired by Michael Kors, which made $1.34 million in media value; Chanel, whose Instagram-worthy beach in Le Grand Palais received 2.5 million likes and made $1 million; and Off-White, designed by Virgil Abloh and teamed with Nike, which received 6 million likes and 521 mentions, equating to $1.4 million in earned media value. Despite showing its ready-to-wear collection in Paris, Off-White received the most engagement from the US (34.8% compared to 4.7% in Paris). He addresses his wife’s depression, their marriage, and their teenage daughter. Marketing maverick Yun Wen Lai’s three- bedroom apartment is filled with cool treasures that spark more than just joy. Karl Lagerfeld creates a fashion tale of the Raj for Chanel’s latest Métiers d’Art collection.